Russia has warned that new EU sanctions against it over the Ukraine crisis will jeopardize security co-operation against terror. The Russian foreign ministry said the EU would bear the blame for the move which sees 15 officials and 18 entities subject to asset freezes and visa bans. The EU and the US accuse Russia of backing Ukraine’s rebels. Moscow denies this. Meanwhile, the last remains of the victims of the crashed Malaysia Airlines jet flew out of eastern Ukraine for the Netherlands. The departure of the aircraft from the city of Kharkiv with 38 coffins brings the total number of bodies sent for identification to 227. The Malaysia Airlines Flight MH17 from Amsterdam to Kuala Lumpur crashed on July 17, killing all 298 people – including 193 Dutch nationals – on board. Pro-Russian separatist rebels in eastern Ukraine have been accused of downing the plane by a missile. Russia has frequently denied sending heavy weapons into Ukraine. Moscow has suggested the plane could have been shot down by the Ukrainian military. Ukraine has denied the charge. 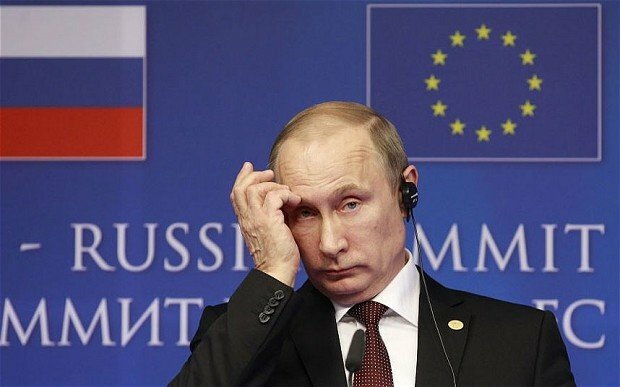 In a statement, the Russian foreign ministry said the new EU sanctions showed that the 28-member bloc was taking “a complete turn away from joint work with Russia on international and regional security, including the fight against the spread of weapons of mass destruction, terrorism, organized crime and other challenges”. In a separate statement, the Russian ministry also accused the US of “an unrelenting campaign of slander against Russia”. The EU sanctions were agreed after lengthy negotiations in Brussels on Friday. The senior Russian officials targeted include Federal Security Service head Alexander Bortnikov, foreign intelligence head Mikhail Fradkov and Nikolai Patrushev, the secretary of the Russian security council. The leader of Russia’s southern Chechnya republic, Ramzan Kadyrov, is also on the list.